Learn N Pop Johnny teaches shapes, numbers and colors while having fun! Match all 7 shapes then give Johnny a push and…..POP, the shapes come out for baby to chase after and play again. Ages 18 months and up. 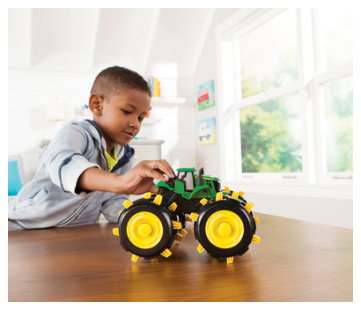 Produced by TOMY and officially licensed by John Deere.